I was awakened early this morning by a text message arriving from a local news media outlet announcing Pat Head Summitt's death. Although the news of her imminent death came to us a couple of days earlier, it really did not mitigate our sense of loss when the news of her death was received. I am concerned because I see so many younger genealogical speakers emphasizing tools rather than fundamentals of sound research. I admit I sometimes have been guilty of the same thing, but I recently modified a couple of my presentations emphasizing tools (because they are in demand with societies) to include examples of sound genealogical research being presented in these tools. I do not know if everyone picks up on what I am trying to do, but I know from comments that some do. I hope all of us are conscious of our role in mentoring the next generation of genealogists and continue to emphasize the fundamentals in such a way it leads our mentees to reach the next level in their own research. This past weekend a researcher using a Facebook group asked a question about which DNA test to take. One person quickly chimed in that Ancestry DNA was the best. I came back and qualified it by asking for what goal the person hoped to achieve through testing. I explained that if it was a patrilineal question, a Y-DNA test might work better and that FamilyTreeDNA was the only American company currently offering such a test. I said Ancestry DNA and FamilyTreeDNA both provide good results, but suggested taking the Ancestry DNA test and then transferring the results to FamilyTreeDNA for $39. I also mentioned GEDmatch's usefulness. Then I made a comment that in some very specific situations a mitochondrial DNA test might be useful. The other commenter thought mitochondrial DNA tests were a total waste of time. I reiterated that it is quite useful under very specific circumstance. I did, of course, mention my own reason for doing a mitochondrial test. Initially I wanted to learn the mitochondrial haplogroup to put to rest one of those full-blooded Indian rumors in my line. The haplogroup came back Western European so my goal was achieved. I also hoped it would help identify my 3g-grandmother's mother. That result is currently on hold as I need to work much more with the results to achieve it. However, the discussion made me realize I needed some good examples of how mitochondrial DNA solved genealogical problems. My mind immediately went to Elizabeth Shown Mills' great article, "Testing the FAN Principle Against DNA: Zilphy (Watts) Price Cooksey Cooksey of Georgia and Mississippi," which first appeared in National Genealogical Society Quarterly in June 2014 and is now available on the author's Historic Pathways site. 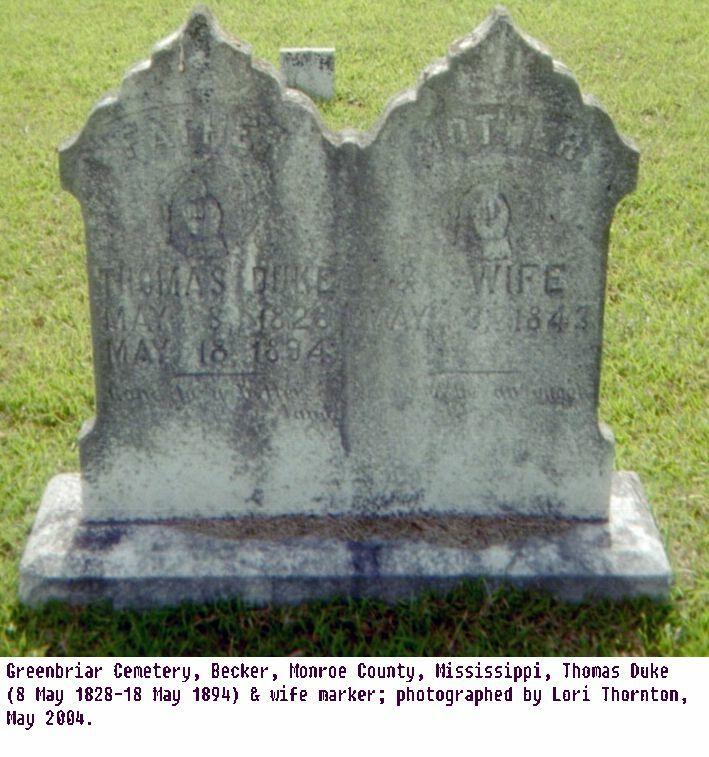 This case used all types of DNA, providing genealogists a great model for DNA research. 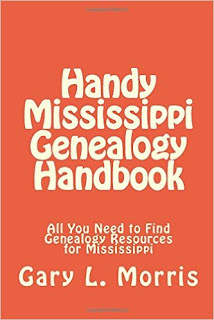 I am sure I saw another published case study demonstrating mitochondrial DNA as a genealogical tool, but I could not remember it. However, I did find a blog post by Roberta Estes, "Mitochondrial -- the Maligned DNA," which shows how mitochondrial DNA was used to resolve of which wife of a male ancestor the tester was a descendant. I also found a somewhat technical but useful post by Blaine Bettinger, "An mtDNA Journey -- Discovering My mtDNA in a Research Paper," describing some of the surprises discovered in his own mitochondrial DNA and how he discovered his mtDNA in a research study defining his haplogroup. I thought I'd toss the question out for others. Do you know of another example of a published case study involving mitochondrial DNA in DNA research? Has mitochondrial DNA been useful in your own line? Bettinger, Blaine. "An mtDNA Journey -- Discovering My mtDNA in a Research Paper," The Genetic Genealogist, 30 July 2015 (http://thegeneticgenealogist.com/2015/07/30/a-mtdna-journey-discovering-my-mtdna-in-a-research-paper/ : accessed 25 June 2016). Estes, Roberta. "Mitochondrial -- the Maligned DNA," DNAeXplained - Genetic Genealogy, 29 March 2014 (https://dna-explained.com/2014/03/29/mitochondrial-the-maligned-dna/ : accessed 25 June 2016). Mills, Elizabeth Shown. 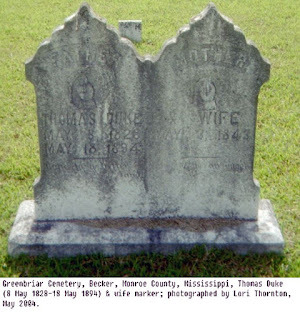 "Testing the FAN Principle Against DNA: Zilphy (Watts) Price Cooksey Cooksey of Georgia and Mississippi." National Genealogical Society Quarterly 102 (June 2014): 129-152; image copy, Historic Pathways (https://www.historicpathways.com/download/ZilphyArticle072915.pdf : accessed 25 June 2016). Yesterday, one of my friends from high school posted on Facebook that she had the song "Rhinestone Cowboy" stuck in her head. Most of us from that era know how difficult it is to remove that one from "auto-play." I replied back that now it was stuck in the heads of all her friends except that I was singing a slightly different variation. My brother's wife died, leaving behind an 18-month old son. For several years, I picked up my nephew from the babysitter's house after school let out and kept him until my brother returned home from work at Walmart, which was often late since he received a promotion to assistant manager and transferred to a store about 45 miles away. I would often play the radio, and sometimes it would be on as we were eating. I can still picture my nephew, sitting in his booster seat singing along with that song. He really only sang one phrase -- the phrase that was repeated often throughout the song and bore the title words. The problem was his vocabulary did not include the word "rhinestone" so he sang what he thought he heard. Yes, that song will forever be etched in my brain as "Macaroni on a Cowboy." I'll try to resume my regular blogging schedule later in the week, but for now, I leave you with a photo of Mount Rainier that I took while in Seattle. I leave for home tonight, arriving in the morning. I suspect the kittens (10 months old so almost officially cats) intend to keep me occupied tomorrow, but I should have time to think through a blog post the following day and get back to my blogging schedule. I should have scheduled a post for this morning, but I'm having too much fun on my trip to Oregon and Washington to remember to do so. Because I don't have lots of time at the moment for a long post, I'll leave you with a photo I took last Sunday afternoon at the Portland Japanese Gardens showing Mount Hood. Mount Hood as seen from Portland Japanese Garden. Photograph by Lori Thornton, 12 Jun 2016. Springfield Model 1842. Photograph provided by "Older Firearms." Flickr Creative Commons (https://www.flickr.com/photos/35513864@N05/3292174456 : accessed 9 Jun 2016). Creative Commons Attribution-Share Alike License 2.0 Generic (CC BY-SA 2.0). Last week my nephew asked a question on my Facebook page about my second great grandfather's military service in the Union Army during the Civil War. A third cousin once removed from the line private messaged me about the post. Her father left her the muzzle loader that was said to belong to James M. Thornton. She knew the gun was manufactured in 1850, but she knew little else about it. I'm not exactly an expert on firearms, but my nephew knows much more about them. He served with the Army National Guard for two tours of duty in Iraq and is much more interested in them than I am. I put the "fourth cousins" in touch with one another in such a manner that I was copied on the messages. After what seemed like a live Internet version of Antiques Roadshow, it was concluded that the gun was a Springfield Model 1842 and that it was one of the guns used in the war and issued with a modification that was present on the one in the family. When Union soldiers mustered out, they were given an option of purchasing their weapon. While we cannot guarantee this was the rifle issued to James M. Thornton, it seems likely that it was. The Cumberland Gap Genealogy Jamboree begins today in the area through which so many people had ancestors travel. This is a more relaxed genealogy event than many. Outside are crafts, re-enactments, and a few other events. Inside the National Park Visitor Center's auditorium are presentations by known regional and national speakers. The event runs through Saturday. I won't be attending today's festivities as I'm using the time to do laundry and pack. I have a work-related conference for which I'm leaving as soon as I finish speaking Saturday. Because I plan to attend most of Friday and Saturday, I needed today to get ready (and to spend a little time with my kittens who are quickly becoming full-grown cats). Things will be different, but are things ever "the same" again? When I first began doing genealogy years ago, I had little rhyme or reason to my filing. I had a bunch of folders that had paper in them. They were roughly sorted by "broad" family groups. I quickly discovered that didn't work very well and broke them into smaller groups and into counties and such. I think I visited a cousin who was into scrapbooking and saw the merits of notebooks. I created notebooks for most of the families. I made individual and/or family group sheets for each person. I filed documents pertaining to each behind the sheet. Unfortunately that didn't really work either, but for a long time I really didn't know a better way to do it. I still had a lot of stuff in folders that never made it to the new system. I probably began filing in either the notebook or a folder. When talking with another genealogist, I learned his system was filing by the record. So if it was Monroe County, Mississippi Deeds, with his system, I'd put them in a folder (or folders) arranged so book 1 deeds were inserted by pages, then book 2, then book 3, etc. This meant that as long as I had my citation, I could find them. Correspondence folders could be arranged by the correspondent instead of by the family or families to which they pertained, which really helped when it came to e-mails that covered multiple families. Although I've begun rearranging my folders, I've got a long way to go on the project. You may wonder why I chose to post on this topic. It's really simple. I planned a post to discuss evidence and reach a conclusion based on the genealogical proof standard. Additional information came to my attention tonight. It doesn't seem all that reliable on the surface, but it adds a new twist, and I need to look at documents again that are under multiple filing systems in my house. I cannot even remember which records are in some of those older files that may not be in my database. If certain ones are not present, I need to retrieve those from several locations before the reasonable exhaustive search has been made. Most of the documents I need will be in Monroe or Itawamba County, Mississippi or Fayette County, Alabama. Some may not exist, but I need to be certain of that and make sure that my search has been written up so I don't forget what I've done. It's been a long time since I really worked on this line (until recently), and it is finally being written up as it should have been 20 years ago. We all need to revisit our old research and make sure it meets standards. I find that too much reliance on a database is not good for me. I do use one, but I need to write research reports to myself and then write a documented narrative. That is what works best for me!